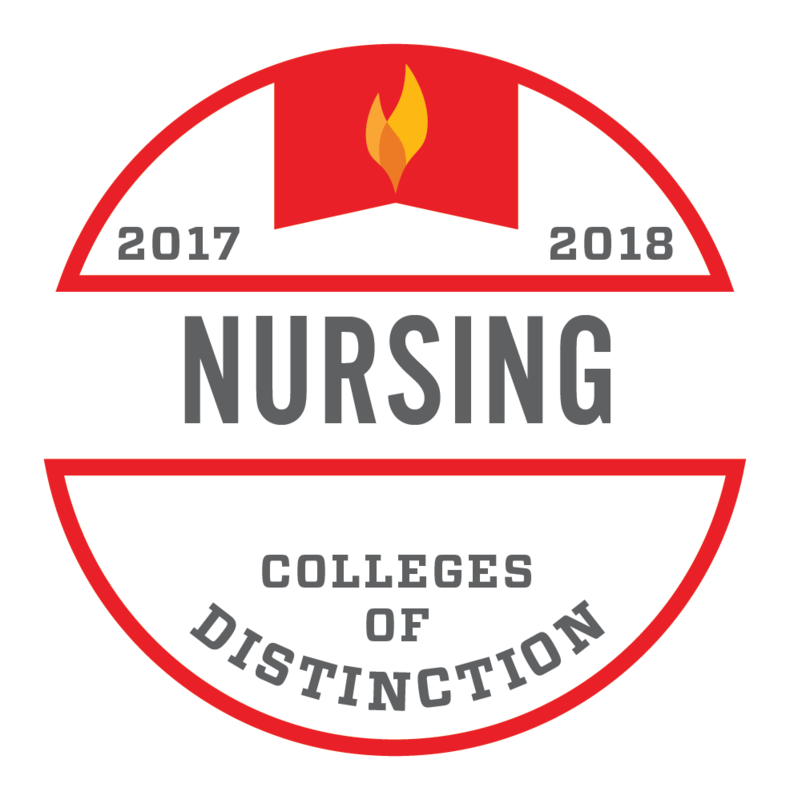 Frostburg offers several Bachelor of Science in Nursing (BSN) options! FSU now offers a four-year, face-to-face BSN in partnership with Allegany College of Maryland. In addition to taking online courses at FSU and after acceptance to ACM, students will take clinical nursing courses through Allegany College of Maryland’s registered nurse program. At the conclusion of the program, students will be able to graduate with both an associate and bachelor’s degree in nursing. Students in the new curriculum will also have the option of joining a Living Learning Community in Allen Hall. The living arrangement clusters nursing majors together as they take courses together, receive additional mentoring opportunities, attend lunch-and-learns and shadow nurses on the job within their specialty at Western Maryland Health System. For students who are already registered nurses, FSU currently offers an online RN-BSN degree program. Frostburg’s RN to BSN program is a perfect way for registered nurses to advance their careers and become better, more informed professionals. The program is offered entirely online to fit the busy lives of working nurses, with hands-on learning through clinical hours at sites close to home. Students graduate with the knowledge and expertise to take on new roles in leadership, clinical care coordination and public and community health or to continue improving their credentials with graduate study. Excel in a program accredited by the Commission on Collegiate Nursing Education (CCNE). Go easy on your wallet. FSU is known for low tuition rates. The RN to BSN program has also been recognized for its affordability by TopRNtoBSN.com and GetEducated.com! Connect with dedicated faculty based both in and outside of Maryland, each with years of clinical experience and the know-how to guide you through your virtual and experiential education. Reach your faculty advisor no matter where you are. You can meet with your advisor either face-to-face on campus, by phone or through your synchronous online classroom. Health Assessment – Comprehensive holistic assessment theory and concepts, inclusive of physical, emotional, cultural, nutritional, spiritual and social assessment skill sets. Specific skills include interviewing and history-taking skills, physical exam skills and the identification of data-based health problems via integrated lab modules within the course. Nursing Research and Evidence-Based Practice- Theory and methods of qualitative and quantitative research provide basic knowledge for reading and understanding nursing research. Theory and concepts of evidence-based nursing practice, including formulating a clinical problem, identifying sources of evidence, using clinical guidelines, disseminating evidence, and motivating for change based on scientific evidence. Nursing Informatics – Introduction to nursing informatics as it applies to data, information, knowledge and wisdom within the areas of administration, education, practice and research. Basic informatics competencies include day-to-day safe, quality patient care; interdisciplinary collaboration; decision support systems and use-cases; workflow analysis and implementation; standardized terminologies; and privacy and security issues. Leadership for Nursing Quality and Safety - Examination of leadership skills necessary to understand and develop a culture of quality and safe patient care. Concepts include decision-making, conflict resolution, communication, motivation, organizational structure, resource management, quality improvement processes and instruments, and tools for safeguarding patients. These concepts form the basis for examination of quality improvement approaches, nurse sensitive indicators, and safety principles, in addition to national quality and safety initiatives. Find out more about Frostburg State University’s RN to BSN program. Additional information about the in-person, four-year program will be posted soon. The healthcare sector is booming, with almost 440,000 new jobs for registered nurses expected between 2014 and 2024, due largely to an aging population and health insurance reform. More RNs and other nursing professionals will be needed in a variety of work environments, including residential facilities, hospitals, home treatment programs and outpatient centers. Beyond possessing a highly in-demand skill set, those with work experience and a bachelor’s degree should enjoy significantly increased job prospects. For more information, check out the Bureau of Labor Statistics’ pages on Registered Nurses, Nurse Practitioners and other Healthcare Occupations.